When silage is exposed to air, typically during feed out, spontaneous heating of the silage can occur. 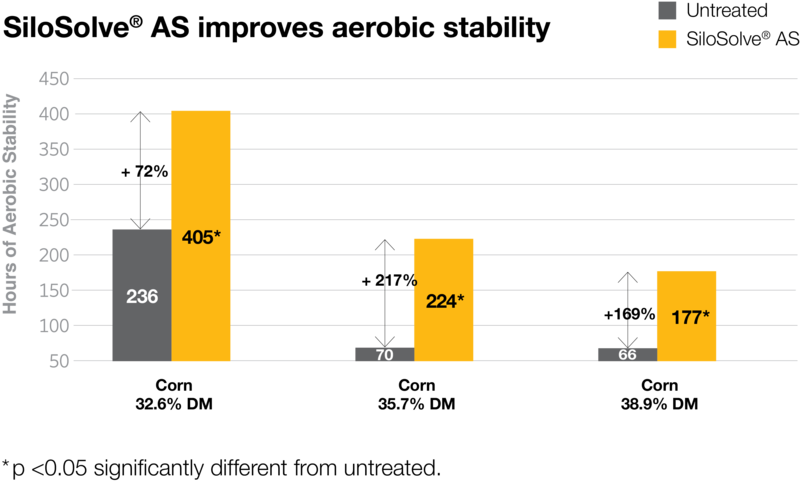 Nutrients are lost and palatability of feed is reduced. The outcome – besides nutrient loss – may be reduced feed intake and subsequent reduced milk production. Some crops, such as corn, are more susceptible to aerobic deterioration and heating than others. 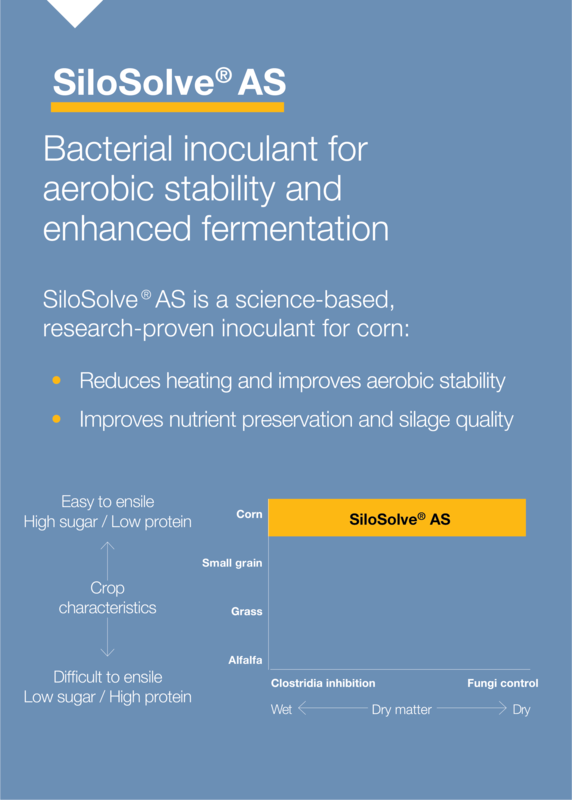 SiloSolve® AS contains two fast growing and competitive lactic acid bacterial strains and a unique strain of Lactobacillus buchneri. This speciﬁc combination of bacteria strains improves fermentation resulting in improved aerobic stability at feed out. Fast and effective fermentation of forage crops during ensiling is a prerequisite for the preservation of valuable nutrients for dairy cows. The faster fermentation occurs, the greater the quantity of nutrients preserved for feeding. 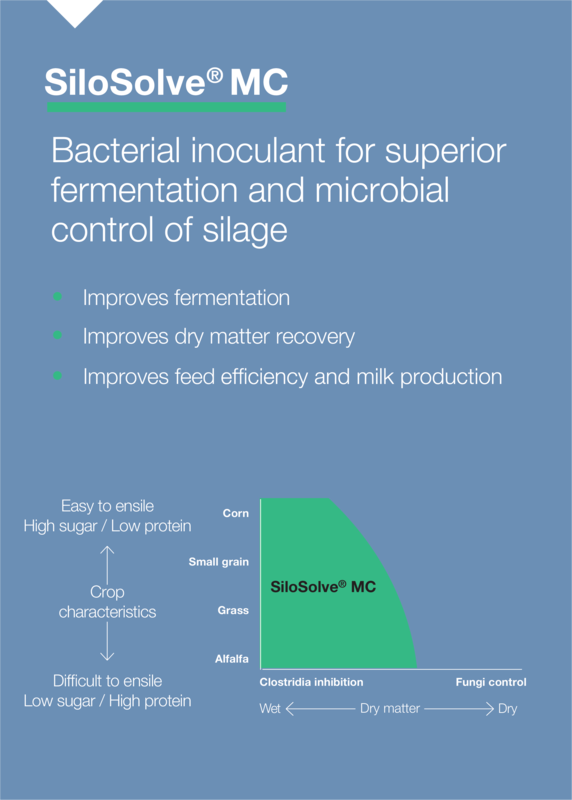 SiloSolve® MC is a silage additive containing three highly-selected strains of lactic acid bacteria that direct and control overall fermentation. Ammonia is an indicator of protein breakdown and may lead to reduced intake by dairy cows. 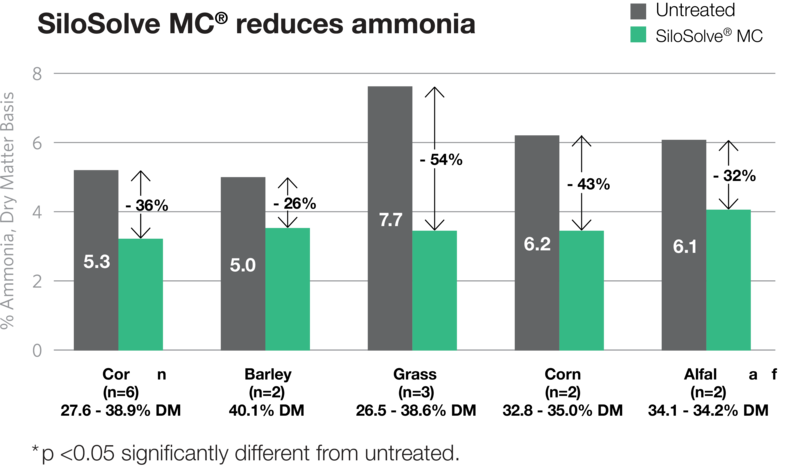 In high value crops, like alfalfa and grass/legume mixes, SiloSolve® MC reduces ammonia up to 50% compared to untreated silages. The beneﬁts are higher quality silage with less potential feed refusal.